Craig was great. Fast, efficient and personable. 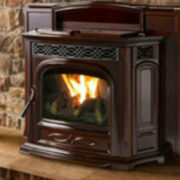 Service was excellent and both fireplaces working better than ever! Will definitely be a repeat customer for years to come! 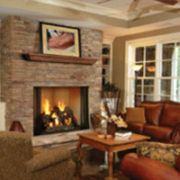 Rettinger helped us design and install a gas fireplace in our family room. 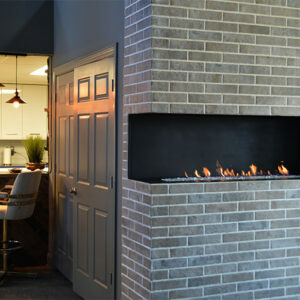 They were very professional and easy to work with- super responsive and always showed up when they said they would (unlike most contractors).Full disclosure, when our fireplace was first installed there was a gas leak that went undetected for several days. Once discovered it was fixed immediately on the next business day by Rettinger.We worked with Dave Jr. and he was a pleasure to work with, despite my exacting requirements for the design. The fireplace (since being fixed) surpasses our expectations in every way.However, I do suggest having your fireplace checked by the local gas company for leaks as our leak was undetected by Rettinger technicians, our plumber, and the local plumbing inspector before being detected by the gas company. 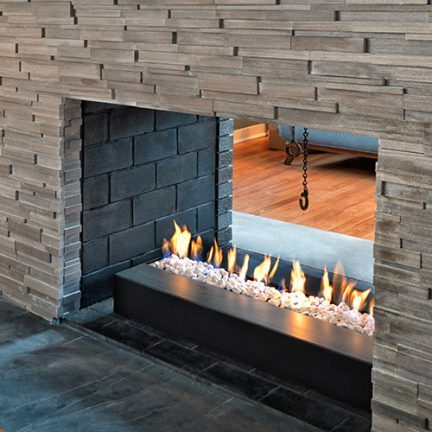 Rettinger Fireplace were amazing to work with and we love the craftsmanship and attention to detail they provided on our fireplaces. Originally we were speaking to another company who was unresponsive and we decided we needed another company to work with. I found Rettinger and from the beginning they returned our calls and worked with us to ensure our project was started and completed in the time we expected. 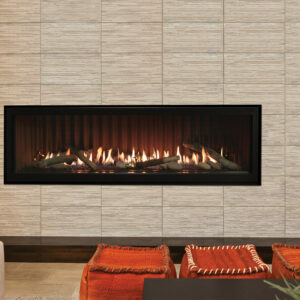 Dave Jr provided great suggestions on our fireplaces and addressed all our design requests. I would use them again and have already recommended them to my friends! My gas fireplace was making loud noises and called Rettinger for service. Craig came out and serviced the entire fireplace. He was cognizant of keeping the work area protected from tools, cleaned everything, and fixed the problem. He was extremely honest, most importantly, and is a genuine man. I appreciate the professionalism, and highly recommend Craig from Rettinger to address your fireplace needs. An excellent experience from first visit to installation. Rettinger has a broad selection augmented by expert advice on choosing the right solution. We had a complicated installation that required avoiding damage to antique woodwork and the team was meticulous in avoiding damage as well as taking care to clean up. Thoroughly delighted! Extremely happy customer! 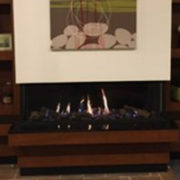 We are thrilled with our new fireplace -- the Rettingers made the whole process very smooth from design to installation. It completely changes the whole look and feel of our den! Can't say enough good things and highly recommend them. 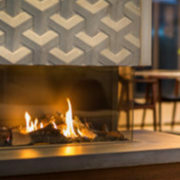 We are overwhelmed by the amazing improvements to our fireplace all due to the expertise, design experience and execution from the team at Rettinger Fireplace. 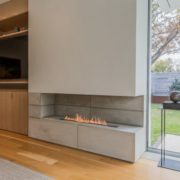 We had a tricky situation where we needed some expert advice to modify our old fireplace and they came up with an easy cost-effective solution. The design/selection process couldn't have been easier and their showroom is spectacular. The team that upgraded our current gas fireplace and installed the new gas logs and mantle were professional, meticulous and cleaned up every last piece of dust it was incredible. HIGHLY recommend. This is a great team to deal with. The sales staff is knowledgeable and friendly and does not try to up-sell. They went the extra mile to find a new solution for our old fireplace without having to do any reconstruction. The installation team helped us get the permits and coordinate around our availability and the weather. The installers were totally professional and immaculate and they finished quickly. The finished product is awesome. Highly recommend. Service was exceptional!I am not one to write reviews due to my busy schedule, but my experience with this family business was so pleasant I felt compelled to. This fall I thought something may have been wrong with my fireplace because I was having a hard time getting it started. I thought to myself this might get expensive. 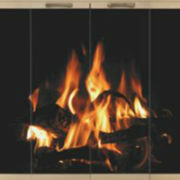 Rettinger fire place came out to my home and quickly diagnosed the issue and serviced the fireplace. Within minutes it was as good as new. This company knows what they are doing and more importantly knows how to treat their customers. I will recommend them to my family and friends because I know they will be in good hands. The G Series linear NG burner – dual listed, vented and vent-free. Looking for a custom design? The G Series linear gas burner provides you with a simple way to achieve the look of a custom fireplace but with the simplicity of an approved dual listed vented and vent-free NG burner. 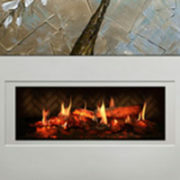 This burner is used in an existing fireplace or in custom built fireplaces. G Series burners are available in 3 sizes (42″, 60″ and 72″) as drop-in customizable units or with the optional cover (as seen the Accessories section below). The optional cover is useful for floor level installation as it hides away the controls and burner parts to give a clean, modern look. Don't take our word for it. See what our customers had to say about us. Call or fill out our online form to receive a Quote. Interested in getting started? Contact us today for a free initial consultation. Our company mantra, “Where Details Make the Difference,” reflects our extremely detail-oriented mindset and our commitment to delivering our products and services with pride and integrity. 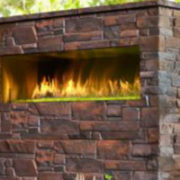 At Rettinger Fireplace Systems, we understand how important the look and feel of your space may be. Whether you are a homeowner wanting to remodel your existing property, a builder looking to add a special feature to a new build or you have any type of project in between, we can help! 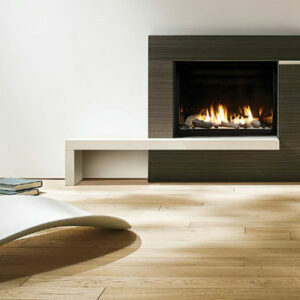 Can't say enough good stuff about Rettinger Fireplace! Really happy we chose them for our new fireplace. The showroom is so nice and they had so many burning displays to choose from. My husband and I will recommend them to all our friends and family! I wanted to thank you for helping repair the fireplace screen. I am thrilled the spray coating of black worked to remove the white film. Your service has been tremendous and I can see why you are so highly rated. I appreciate all you did. We love our fireplace. Alexis gave us fantastic advice and guided every step of the transaction. Every aspect from purchase to installation was a pleasure. The fireplace improved the family room aesthetically, and it is so cozy that we actually wanted a colder winter so we could use it more. Can’t wait till next winter! Subscribe to our latest news. We promise not to spam!